Nikon dealer Grays of Westminster has been granted a coat of arms, saying it is the first camera shop in the world to be awarded the honour. Founded in the mid-1980s, Grays of Westminster boasts more 47,000 customers worldwide. 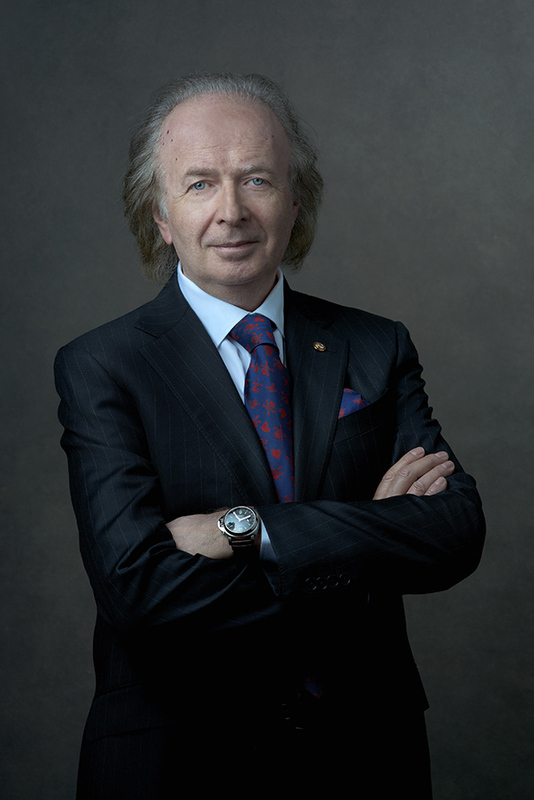 Its clients include Lord Snowdon, National Geographic photographer Jim Brandenburg, film director Stanley Kubrick, actor David Suchet and the singer Rod Stewart. The Pimlico-based store said it wanted to create a coat of arms that was personal to Grays of Westminster and one that would ‘visually identify’ its role in the photographic industry. The coat of arms took a year to create, during which time Levett worked closely with the College of Arms throughout the design process. On the coat of arms design, the store said: ‘The symbolism within the image depicts a lion (Gray Levett) amicably communing with the [national] bird of Japan, the green pheasant. According to the College of Arms, there are no fixed criteria of eligibility for a grant of arms. But awards, or honours, from the Crown, civil or military commissions, university degrees, professional qualifications, public and charitable services, and eminence or ‘good standing in national or local life’ are taken into account. A fee of £16,400 is payable once a grant of arms and crest are awarded to a commercial company. The fee for a non-profit making body is £11,050 and, for an individual, £5,250. 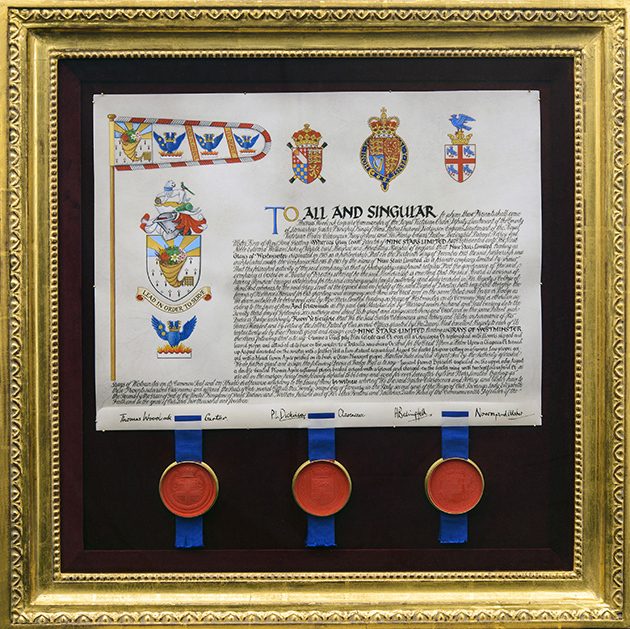 The first step in applying for a grant of arms is to submit a petition to the Earl Marshall. This is drafted by one of the officers of arms. 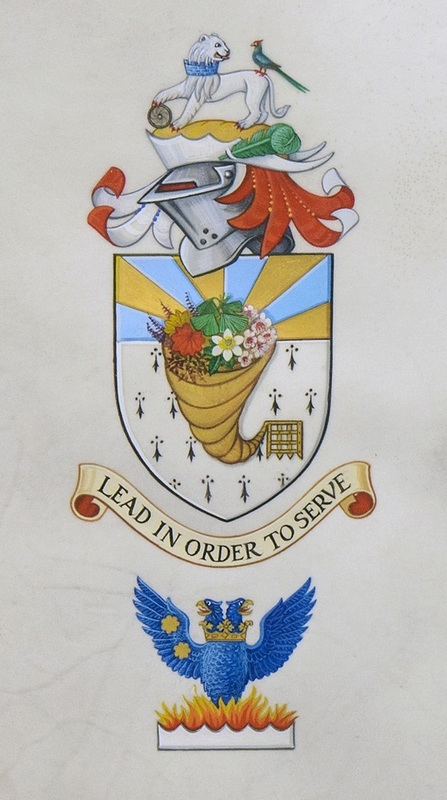 Levett received the coat of arms at a function held at the Institute of Directors in London. 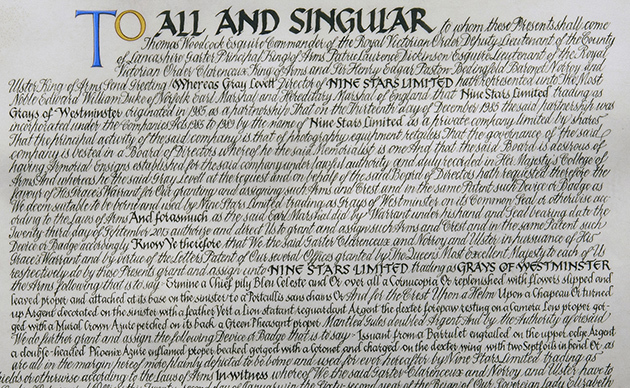 The coat of arms was granted to Nine Stars Limited, which trades as Grays of Westminster.